The Liberty Humane Shelter provides pet Micro-chip services for just $25.00 per pet! Call (912) 876-3647 or email to schedule an appointment. Times have changed! 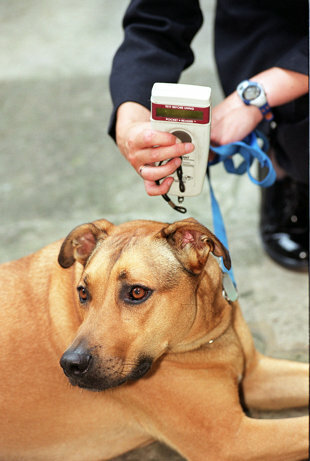 Most animal control facilities, shelters, rescues and vet clinics throughout the nation now have micro-chip scanners! This means that if your micro-chipped pet is lost, the probability of them being found is significantly greater! Millions of pets are needlessly euthanized because they were never found by their owners! Don't let this happen to your beloved pet. Have them micro-chipped. It only takes a few minutes. Both our facility and the Liberty Animal Control Office scan animals for chips immediately after they come into our custody! Most of our local vets have scanners as well. If your pet is stolen and there is a dispute with law enforcement as to ownership, the chip tells all!